The judge for the Eleventh Judicial Circuit Court declined to impose the cap (first implemented 30 years ago), finding it to be outdated and also agreeing with plaintiffs’ assertion that it is in violation of Florida’s Constitution by allowing a damage award to be lowered with no regard as to the severity of one’s injury. The larger effect of this ruling is unclear, but South Florida medical malpractice attorneys at Halberg Law know that it has the potential to prompt higher courts to toss the statute too, just as they did with the other medical malpractice law on damage caps, F.S. 766.118. The judge ascertained that the damage cap laws “epitomize the classic case of heads I win, tails you lose.” He noted that because defendants are the parties that are either potentially or in fact the negligent party, so they have incentive to use the power afforded by the statutes – particularly when the potential for large damages is present. In turn, a plaintiff who is severely, devastatingly and permanently injured is left with no possible recourse. Our injury lawyers know that when caps are imposed on damage awards for pain and suffering, not only does it NOT have the effect of lowering insurance costs, it deeply and negatively impacts those plaintiffs who are the most vulnerable (elderly and children especially because they aren’t working and thus not able on their own to earn economic damages). In this particular case, plaintiffs were a former defendant patient and her husband who claimed liability and damages after a failed cataract surgery. 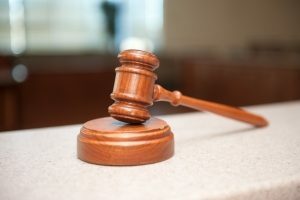 Jurors at trial awarded patient $450,000 for pain and suffering and her husband $50,000 for loss of consortium (for services, comfort, society and attention). But because they declined to arbitrate, defense sought to amend the verdict and lower the limits to conform to the law. To extend the offer (particularly given that arbitration tends to result in poorer outcomes for plaintiffs as it is) effectively boxes plaintiffs in to limitations on damages, no matter what jurors decide. Plus, the value of $350,000 when the law was passed 30 years ago is much less than it is today, so it’s fundamentally outdated. The judge noted the same amount equates to $750,000 today when accounting for inflation.